“Scientists are far from reaching a consensus”, Scope News reported recently in relation to Caroline’s Star and the shattered wormholes. 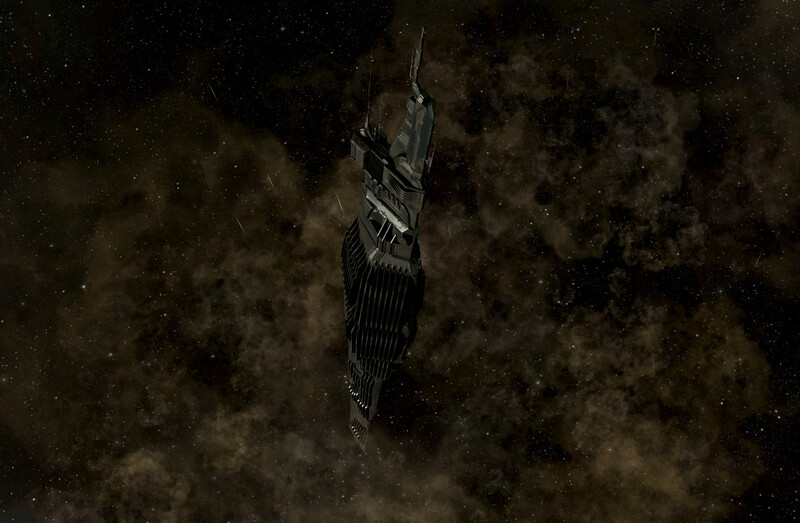 That certainly did not change with a new enigma appearing in New Eden: the Drifter battleships. Several theories about their nature and origin have been developed, but none of them seems conclusive at this point. Today, I want to summarize all those speculations and what speaks for or against each one of them. It may be that the Drifters are actually Sleepers who have awakened and escaped their virtual reality prison. The pilots of the Drifter battleships are Jovian in appearance, and so would the Sleepers be, since they originally emerged from Jovian civilisation. An even more interesting aspect are the extensive implants of the Drifter pilots. Sleepers have modified their brains extensively to integrate their minds with the VR Construct. Sleepers would also have a reason to be hostile against New Eden’s capsuleers. After all, they have been busy destroying and plundering Sleeper facilities in Anoikis for years. The description of Vigilant Tyrannos—the Drifter’s in-game organisation—describes them as “emerging from Anoikis”. They also appear to make use of specially attuned “unidentified wormholes”, which are flanked by structures that look like Sleeper-designed architecture. On the other hand, Drifters are not found in Anoikis (W-space) itself. If they came from there, would there not be evidence of their activities? Their ships also do not look like Sleeper vessels and neither do their weapons appear similar in technology. Another thing is, the Vigilant Tyrannos pilots are very obviously capsuleers. They have the plugs used for capsule control systems and so far we have only seen two of them in the field, Artemis and Apollo. That strongly implies that they are clone pilots and the Sleepers did not endorse cloning. Their rule was that for each mind in the Construct, there has to be one body in the real world. That would speak against having an army of replacement clones. The final indication against the Sleeper origin theory is that the Circadian Seeker drones are scanning the Drifter battleships and the structures associated with them. If they knew those objects already because they are of Sleeper origin, there would be no reason for them to do so. There has been speculation that the Drifters may be members of the long-lost Talocan civilisation. That the Talocan were a race of interstellar nomads fits well with the name Drifter. The Talocan were also familiar with manipulation of space-time and potentially the first to develop a form of gate. Since they co-existed with the Sleepers in Anoikis, it can easily be argued that they may have learned from them and would also explain familiarity with wormholes. The listening posts also have a slight resemblance with known Talocan structures. Most strikingly, the propulsion systems of Drifter ships are not based on engines as we know them, but they seem to distort space, again a technological method that could be associated with the Talocan. Standing against that theory are a number of striking counterarguments. There is no evidence in the lore that Talocan and Jovian are in any way related. When the Sleepers—people of Jovian origin—arrived in Anoikis, the Talocan were in no way familiar with them. Again, the lack of Drifter activity in Anoikis itself seems strange when considering that this was the last known base of Talocan operations and the issue of cloning reappears as well. There are clear indications that the Talocan did not possess infomorph technology or advanced cloning facilities. In fact it seems to have been that lack of development which lead to their demise in Anoikis where they appear to have been decimated by a pandemic. 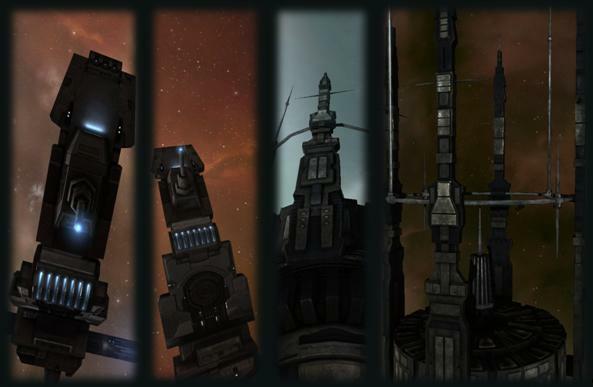 Finally, the Drifter battleships do not look much like known Talocan ship designs. Possibly the Drifters are the Enheduanni returning from their self-imposed exile. Originally, they were the caretakers of Jove society and were in a position to become its ruling caste. That fits together perfectly with the name Vigilant (watchful) Tyrannos (ruler). Not only were the Enheduanni watching over Jovians during their long sleep in the generational ships of old, they also kept surveillance on the other empires of New Eden after they withdrew from Jovian society. The Enheduanni also knew about cloning, capsule control systems and wormholes. In the chronicle Theodicy the Jovian Crius describes them as users of “hyper-advanced implants”, and creators of sleeper agents “born as adults from cloning vats with complete memories of fabricated backgrounds”, and that they were capable of “transporting matter instantaneously across space without the use of wormholes, stargates, or jump-drives”. All that and the comment that their technology is far more advanced than anything we know lends itself to the argument that the Drifters may be Enheduanni or maybe a group of those clones created by them. Even the curiosity of the Circadian Seekers could be explained that way. The Enheduanni were still part of Jovian society when the Architects proposed that all Jovians should enter virtual reality, but they vanished soon after. Contemporary Sleepers would recognise them as Jovian but very likely be unaware of their particular background. This theory also offers an explanation why the Drifters can not be found in Anoikis, since the Enheduanni never followed the Sleepers there, they are very likely to be unfamiliar with that stellar cluster. There is not much I could find which contradicts this theory. There is the issue of difference in ship design, weaponry and architecture between the Drifter battleships and Listening Posts and what we know of other Jovian constructions. Considering how the Enheduanni developed independently and covertly for centuries, that does not amount to much though. Another question this theory poses is why there are not more of them if they were part of the Enheduanni. So far we only know of Apollo, Artemis and Strategos. It may however be that any other Enheduanni could have decided to remain in hiding and act through a small number of capsuleers as proxies. The main counter to the theory that Drifters may be Enheduanni is the description of their faction as “emerging from the ruins of the Sleeper civilization spread throughout Anoikis”. Certainly, the Enheduanni can not be considered as originating from there. Another chilling theory proposes that the Drifters are physical manifestations of The Others. That generic name was given to an artificial intelligence which developed in the Sleeper Construct and later managed to insinuate itself into the mind of Jamyl Sarum. Templar One makes mention of more than one such emergent consciousness. Recently what appeared to be the long vanished founder of Arek’Jalaan, Hillen Tukoss, transmitted some cryptic messages requesting a number of Jovian genetic samples, but nobody could confirm his identity. Maybe a ploy by The Others on the path to create ships and Jovian clones to inhabit and pilot those vessels. The apparent fusion of Jovian, Sleeper and Talocan technology used by the Drifters supports that. The Others would certainly possess knowledge of all three since they have developed from the wealth of data the Sleepers had stored. Clearly they would also know about wormholes and the interest of the Circadian Seekers in them would be well founded since the Sleepers take an antagonistic view of The Others because they consider them as deviation from their “one body-one mind” rule. The main counter to this theory comes in the form of the listening posts. It appears that the Drifters are directly related to those structures as they spawn near them (maybe from them?) and appeared at the same time as those constructs decloaked. The Others have only developed barely a decade ago and them finding a way to come to New Eden is an even more recent occurrence. They simply could not have built those Listening Posts, but If the idea is dismissed that the Drifters are directly connected to those unidentified structures, then this theory could still stand. In addition to that, the Circadian Seekers would most definitely be hostile against anything they could identify as The Other because the Sleepers would consider them an antithesis to their own moral code. It has been noted that the headquarters of Vigilant Tyrannos are in the same system that had been occupied by Sansha forces several years ago. The Jovians claimed to have liberated the system shortly after, but it is still possible that Sansha’s Nation managed to abduct Jovians to turn them into slaves and thus acquired Jovian technology as well. 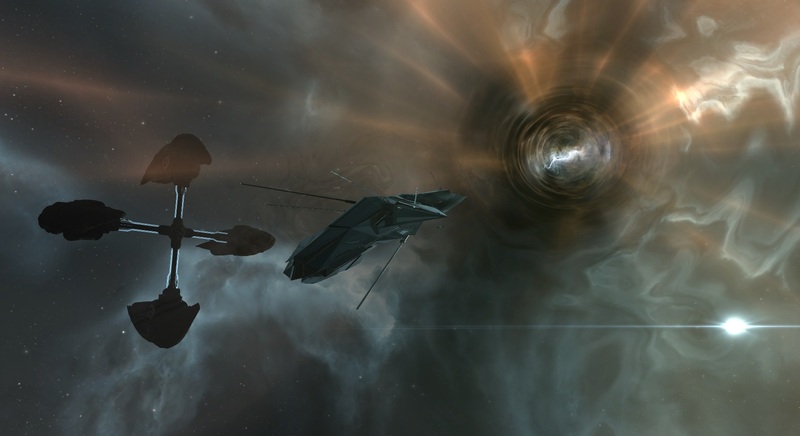 The fact that Sansha’s Nation uses artificially generated wormholes to transport their fleets supports the latter speculation along with the heavy use of implants and generic names like Starategos Tyrannos, describing a function rather than an individual, similar to Sansha True Slaves. On the other hand, the Drifter battleships form a problem for this theory. If the Drifters were created by Sansha’s Nation by means of stolen Jovian technology and clones, why would Sansha Kuvakei not make use of the same technology in his fleets? The propulsion and weaponry of the Drifter battleships appear far beyond anything the Nation uses and there is no indication whatsoever that there has been any sort of technological exchange between the two factions other than the method for wormhole generation. The most recent theory, put forward by Uriel Paradisi Anteovnuecci of Jovian Labs speculates that the Drifters may be the heirs of a ruling class that governed the Second Jove Empire. Many of the correlations submitted by Uriel fit well into the picture: The Drifter names, their ruthless nature and advanced technology which could be left over from the Second Empire’s glory days. With the apparent collapse of contemporary Jovian society, it would even make sense that some long-hidden remnants of the old empire take the effort to reclaim what they consider rightfully theirs. On the other hand, that begs the question: Where have those rulers of old been all those centuries since the Second Empire’s collapse? Could they not have made their move when the Architects threatened to divide Jovian Society, or when the Enheduanni gave up their position of supremacy to relegate themselves to covert manipulation from behind the scenes? How would the heirs of Miko Bour know about wormholes and related technology developed by the Sleepers? After all, the migration of Jovians to Anoikis happened long after their time. If we consider the Listening Posts as having a direct connection to the Drifters, then it would also be questionable how the Tyrants of ancient times managed to build all those structures covertly, and what their purpose could have been. 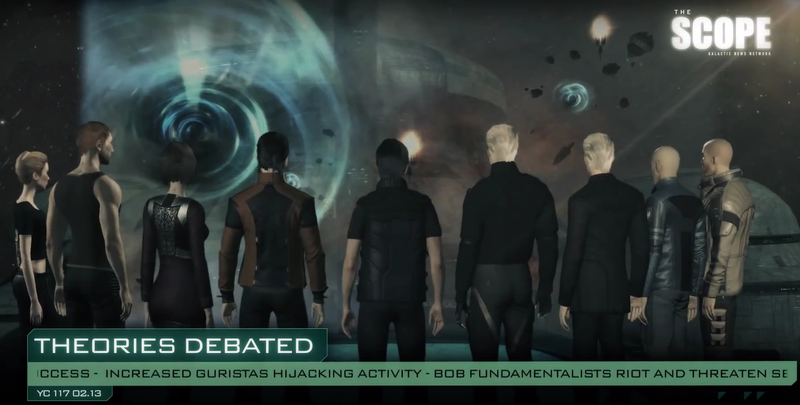 Their main focus would arguably be to re-establish their rule over the Jovians, and not necessarily to watch over all the other powers of New Eden. As you can see, each theory creates new questions with every answer it appears to provide. I personally favour the Enheduanni theory the most, with the qualifier that I wouldn’t consider the Drifters to be the Enheduanni but rather a group of clone pilots tasked with the maintenance and defense of the listening posts. Still, that does not answer the question why they are described as coming from W-space. That description, however, is supplied by CONCORD, and therefore could be built on misconceptions about the Drifter’s nature. CONCORD knows about Sleepers, Jovians and Anoikis, but they would be completely ignorant of the Enheduanni and their existence. In any case, it looks like some time will pass before scientists of New Eden come to a consensus who those new participants in the cosmic narrative are. For reference, many of the mentioned theories were discussed or mentioned on the Hydrostatic Lore Panel discussions which can be found here and here.